Appree provides users not only to use products but also share their various experiences. 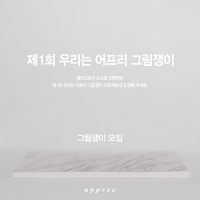 As the project ‘We’re Appree writers’ in progress through SNS Instagram is the activity started for fans who concern a lot for Appree product and give generous cheer, it’s the project with collaborative feature proceeding with combination of stickyleaf and calligraphy. We’re sharing various feelings through products while making together with calligraphy writers. 어프리는 제품을 사용하는 것을 넘어 사용자들의 다양한 경험을 공유하고 있습니다. SNS 인스타그램을 통해 진행 중인 '우리는 어프리 글쟁이' 프로젝트는 어프리 제품에 관심을 많이 가져 주시고 아낌없는 응원을 보내 주시는 팬들을 위해 시작한 활동으로, 스티키리프와 캘리그라피의 조합으로 진행하고 있는 콜라보레이션 성격의 프로젝트입니다. 'We are Appree Illustrator' is the project with collaborative feature proceeding with combination of our goods, Callidraw Note and drawing of fans. 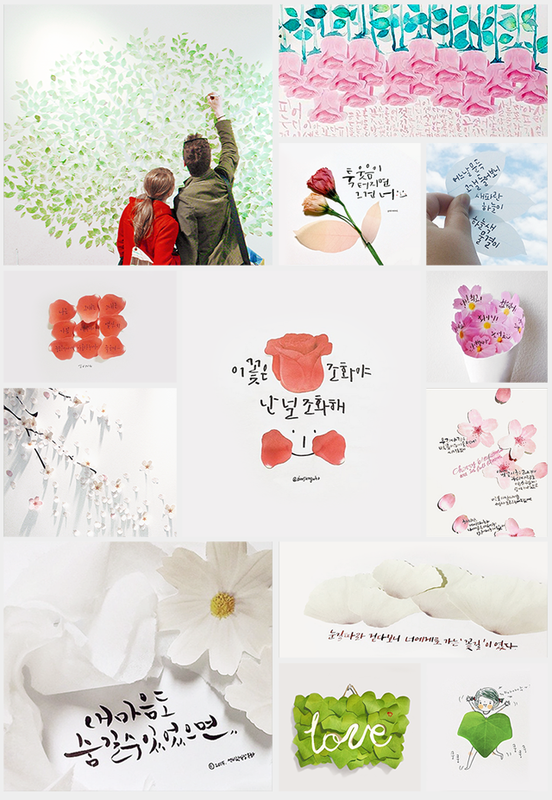 We are sharing various feelings through drawing and painting while making together with our Fans. 우리는 어프리 그림쟁이는 캘리드로우노트에 그림을 그리는 어프리 팬들과 함께 만들어나가는 콜라보레이션 성격의 프로젝트입니다. 글씨에서 시작해 그림까지 이어지는 다양한 컨텐츠들로 제품을 통한 다양한 감성을 소통하고 있습니다. 업로드 해주신 어프리 글쟁이님들의 작품 중 대표적인 작품들을 재구성한 이미지 입니다.